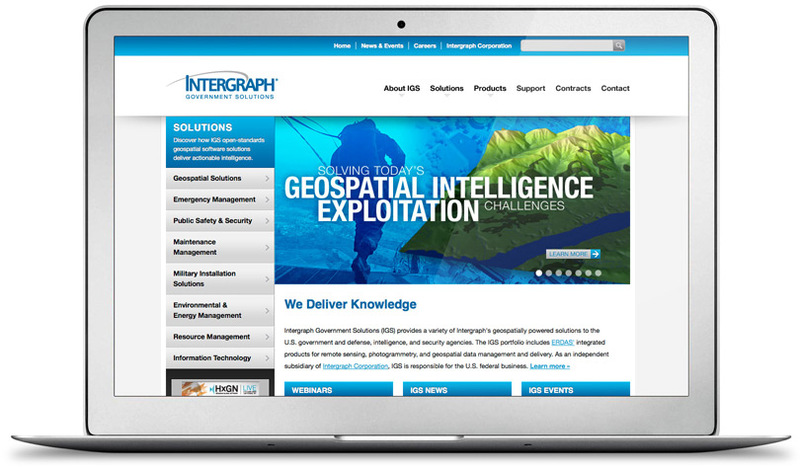 Intergraph Government Solutions provides complex software and system solutions to U.S. government customers that range from security agencies, the U.S. forest service, department of agriculture, first responders on military bases as well as the public works and energy managers with military installations. Our job was to translate that complexity into a web site that could be easily – and logically – navigated by visitors looking to address a specific productivity or workflow need. Research and fact finding meetings with product managers for all of the areas was the most crucial element of this project. Learning how IGS customers identify the issue they are looking to solve and organizing the overlapping products and solutions in a way that makes sense to that diverse group was paramount before design ideas were considered. 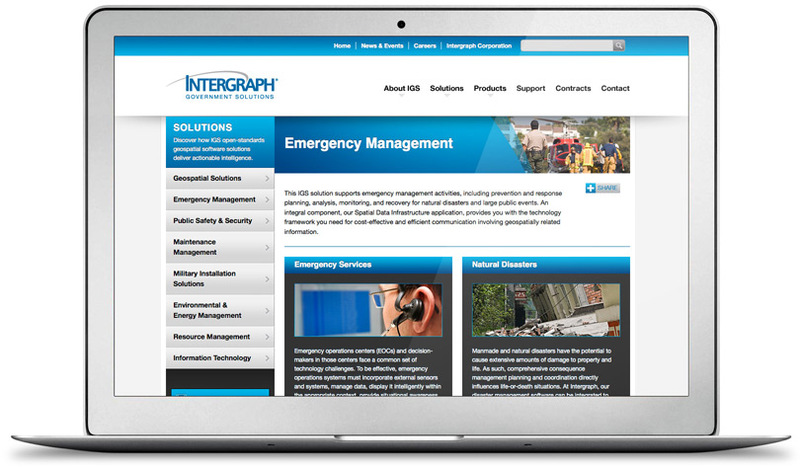 The extensive use of photos representing the diversity of the customer groups was one of the visual cues we used to enhance the navigation experience for site visitors. 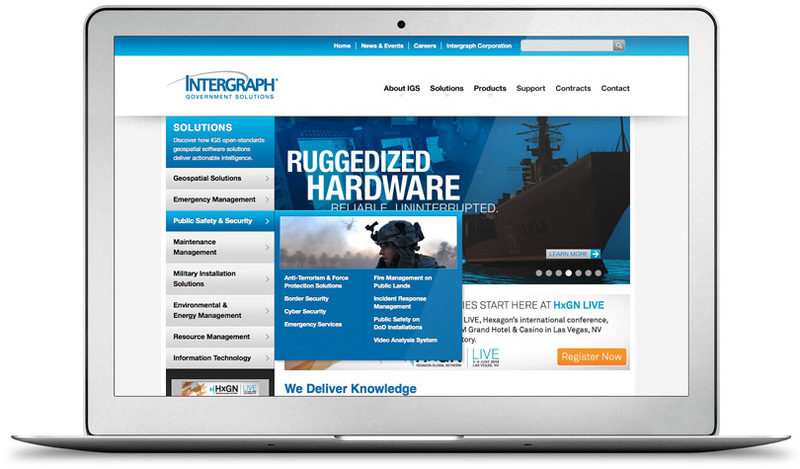 By incorporating a robust database of products and solutions, we were able to ensure the client’s updates to content and downloadable resources happen in one place and are applied across the board on the site, streamlining the workflow process. 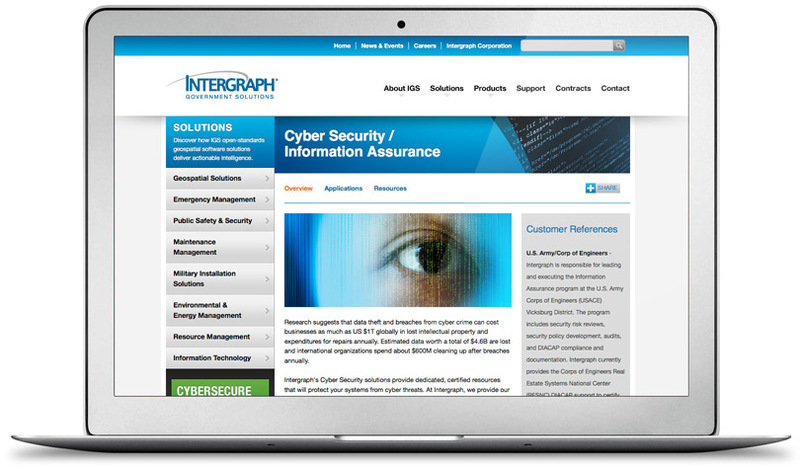 Yes, we’re very pleased with the new web site for Intergraph Government Solutions, but we’re more pleased… no, ECSTATIC that our clients are happy with it! 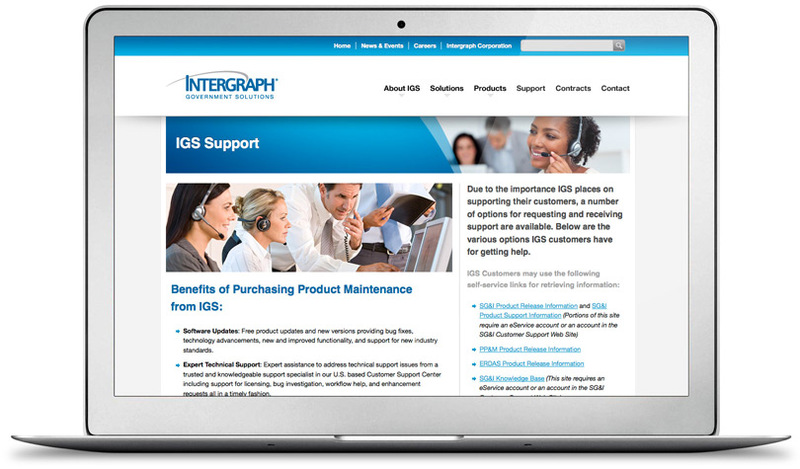 John Semyck, executive manager of IGS, writes, “Just wanted to commend your team! You did a tremendous job in a short amount of time to get a vast amount of information organized and presented in an exceptionally professional manner. 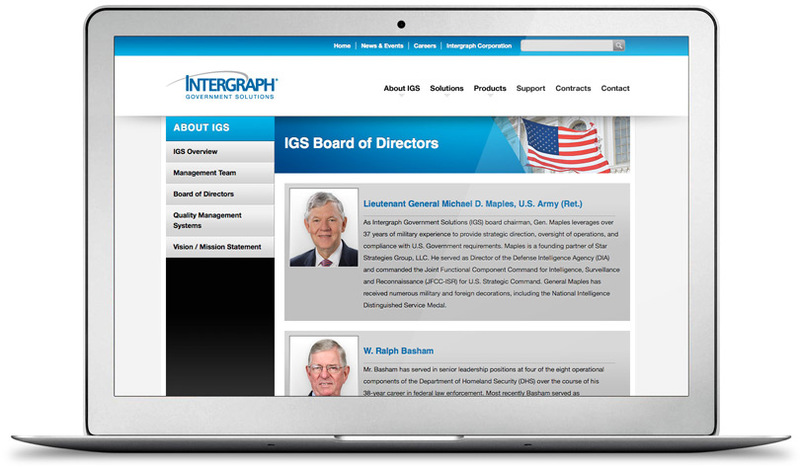 Outstanding work & many thanks!” This site would not be possible without the thorough help and feedback we received from the vastly clever folks at IGS. Now our biggest challenge is to get our heads out of the clouds and get back to work.